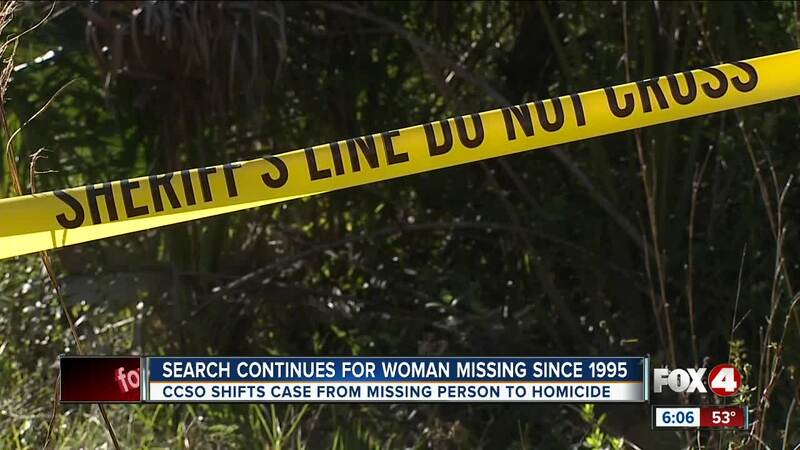 PUNTA GORDA, Fla. -- Tuesday, investigators will be back to searching for Christine Flahive a Charlotte County woman who went missing in 1995. The sheriff's office is treating this as a homicide case. Monday's search was canceled due to the weather, but investigators will be back out in Punta Gorda at Fairway Drive and Indian Creek Lane. This is near East Elementary School. Last week, search teams were at that same location.